After my search for colour inspirations online, I got down to trying out how the colour combination will look on the walls in our playroom. No, it doesn’t need any paint, brushes nor handwork! Here are 5 tips for picking out the right colours for your house, mostly picked up while planning for our mini room transformation with Dulux Singapore. Your favourite colours may look fabulous on your dress or shirt, but not necessary work as well if used as a paint colour. With help of a colour wheel, you will be able to better choose color combinations that will work well together. Painting one solid colour to the entire room or house is the easiest. However with the right combination of colours (from paint to furnishing and decor) you can create a whole new feel to the entire space. Follow the following colour combination rules and you will be safe (avoid creating a mess). Read more about Monochromatic, Adjacent/Analogous, Complementary, and Triadic here. From the furniture, fittings, big things around the room and even the colour of your flooring. Sometimes it may not be necessary to paint the entire room, adding a feature wall to a single coloured room will help brighten up the space too! A feature wall should ideally have the largest area within the room or space and should avoid walls with windows or doors. Read more tips on creating a featured wall by experts at Dulux. Am considering making this side of the room a feature wall, but the groove in the wall is making be think twice about it. Will have to consult the expert during our consultation with Dulux for some help. Play with the paint colours with augmented reality technology made possible with Dulux Visualiser application on the iOS and Android OS. I tried it on my HTC One Max and the iPad Air. The visualiser was not compatible with my mobile phone but we did get to play with it on the iPad. It almost as simple as seen in the video below, as long as the lighting in your room is bright enough. With us living at a low floor, the trees and other structures outside our house block out too much light for a smoother use of the visualiser. 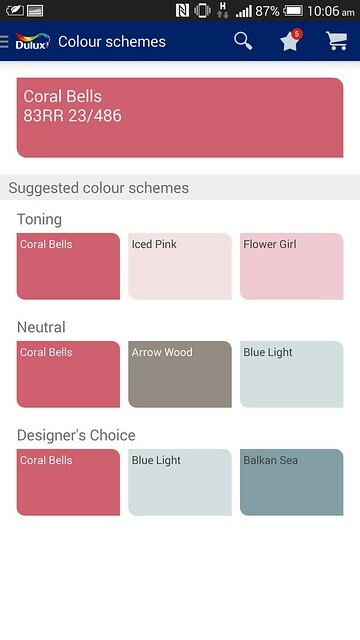 Besides the visualising of paint colour on the app, the other feature I love is the ability to pick up the colours from a photo and then the app will show a selection of colours that matches it. Pick one colour from the selection shown and it shows you the matching colours that goes with it. And if you like it, save it to your favourites for reference. See the number on the tiny star at the top of the app? That number has been growing over the past week! I’m taking this mini transformation too seriously I think, and the additional input from Ayra and the husband aren’t making it any easier. 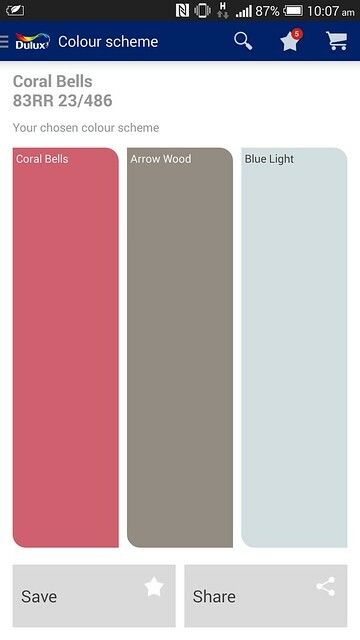 This feature of the app is especially useful if you have existing furnitures in the room to match your new paint colours with. For us, the beanbag is one of the highlight in the playroom. And I kinda like the schemes suggested in the app. Perhaps this might be one of our shortlisted consideration. Decisions decisions! 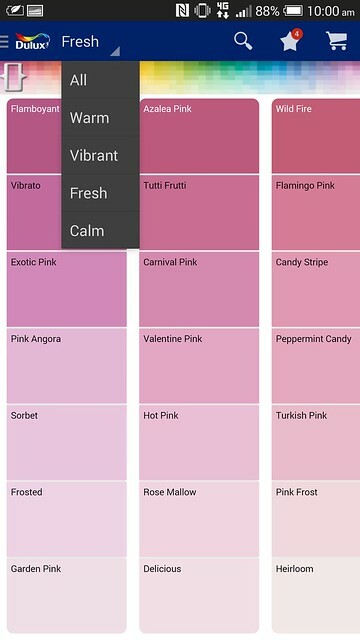 If you want to browse through all the colours, you can do so too with useful filters from within the app. Scrolling left and right brings you through all the colours of the rainbow and beyond! Tip 4: Ask your kids! It is their playroom after all! No matter how young they may be, it is nice to involve them in the planning of their room transformation. 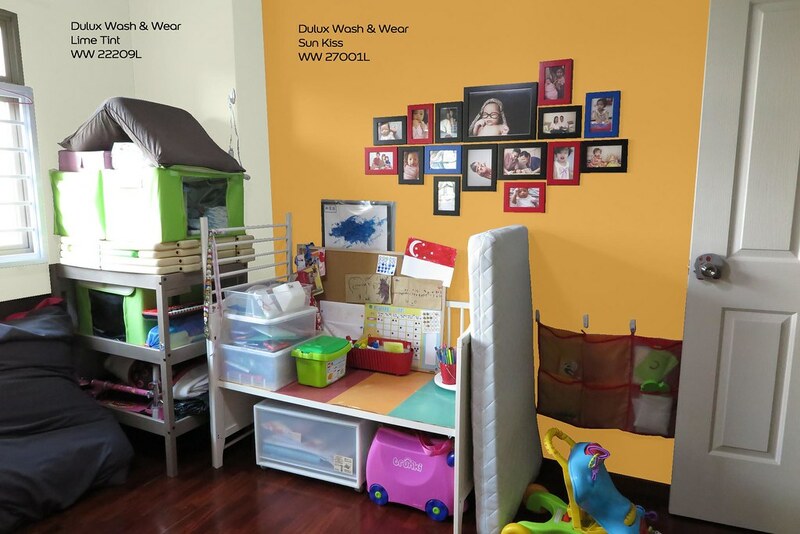 With help of the Dulux Visualiser application, the kids can see the colours on the walls in their playroom. Ayra was super excited when we were discussing about the colours for her room. 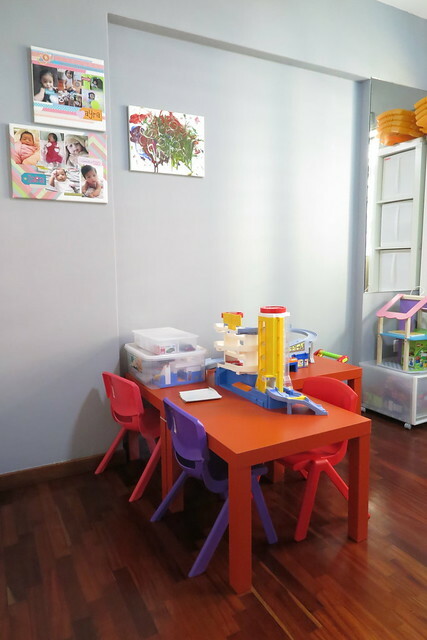 I have submitted my photos of our playroom to them too. It takes 5 to 7 working days for them to get back with proposed colours, will update this post when I get their reply next week. The Sun Kiss yellow looks so cheerful and bright for a feature wall! The pink and purple looks sweet too. Looking at these proposed schemes, I am imagining a strawberry field theme for the playroom! 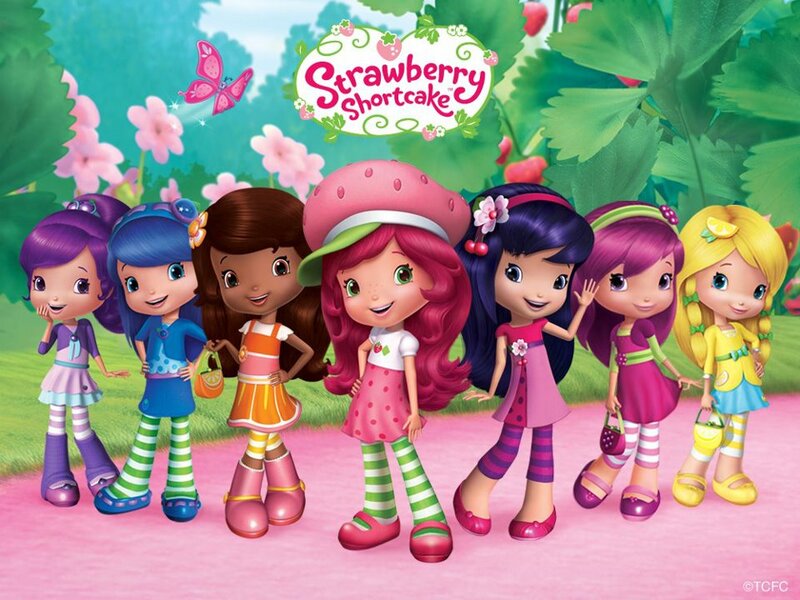 Think Strawberry Shortcake and Friends! Now that you have gotten some tips on creating new feel for your rooms with paint, it may be time to start planning and budgeting for that mini makeover for your home in time for the coming New Year! Dulux is having a promotion right now for all paint jobs till 15 Feb 2015! Click on the image below for more details. Follow our transformation and hope you will like what we did. Do vote for us when the voting begins from 8 to 14 December 2014. Next Post Ayra shouts “UNO!” The Future Asia’s Numero UNO?